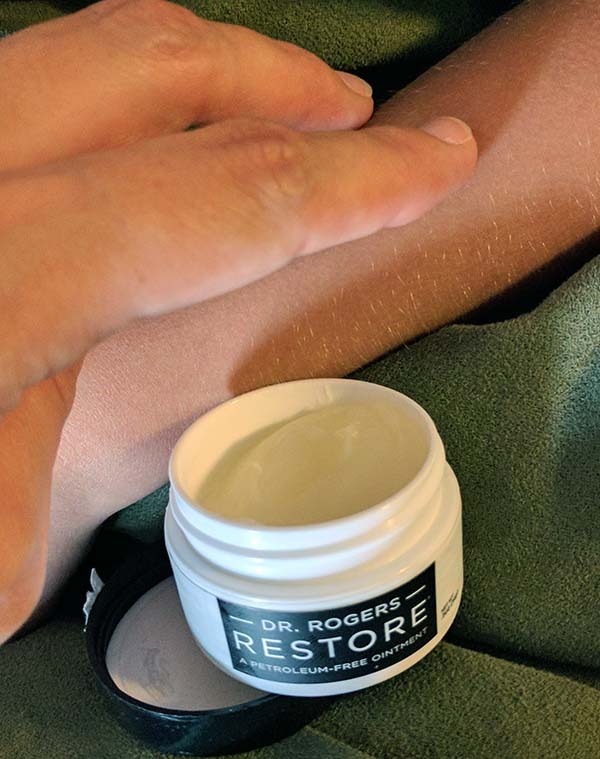 Dr. Rogers Restore is a petroleum-free ointment that can be used as an alternative to neosporin, vaseline, and such. Designed by a mom who wanted something better for her kids. This is an all-purpose ointment designed for dry, damaged skin, lips and nails. 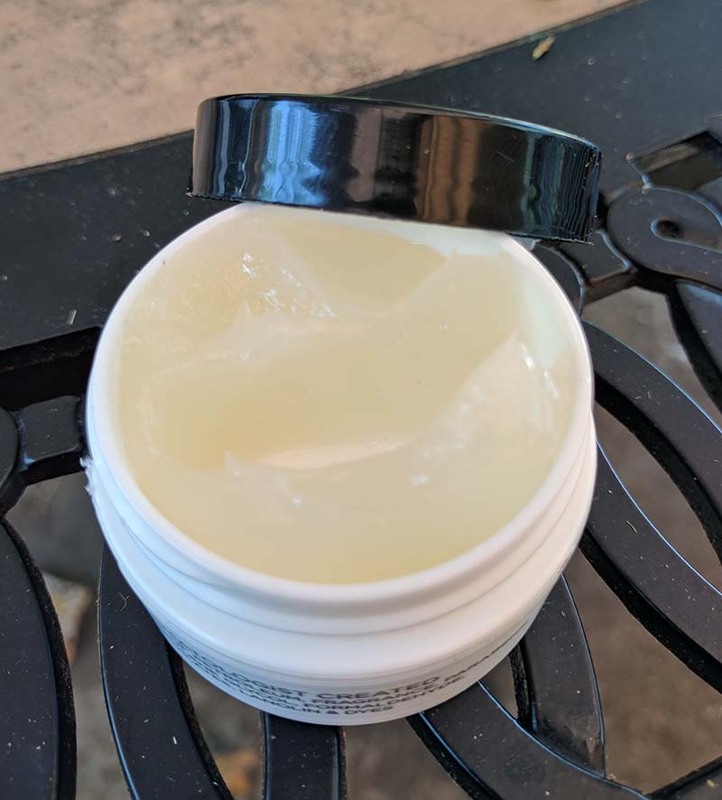 Other uses incude razor rash, diaper rash, chafing, wound care (for small cuts), scrapes, abrasions, insect bites, stings, chapped lips, callouses, etc. Basically, all the stuff I use neosporin and vaseline for. Free of petroleum, lanolin, parabens, phthalates, sulfates, fragrance and common allergens. Dr. Rogers is made with all plant-based ingredients. First, I tried Dr. Rogers out on my cuticles. Our spring has arrived by kicking off with 80 degree weather, then cooling down to 60 degrees and then back up again. This constant temperature not only has us all wondering what to wear each day, but it dries out my hands and I notice it first on my cuticles. So for a couple of days I just put a little bit right on my cuticles where my nails were feeling extra dry. 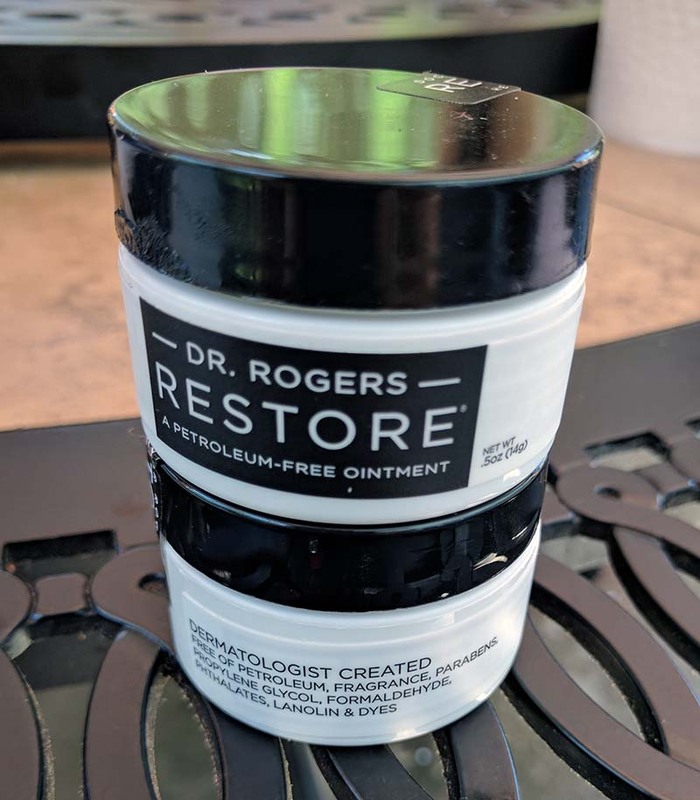 Dr. Rogers doesn’t smell like anything – in that it has no smell that I can tell. It’s basically a clear ointment, so, I was a bit skeptical that it was actually going to do anything for me. I used it for two days – twice a day – and my cuticles are no longer dried out. So, it definitely worked. Of course, since I’m trying out this cool new product, the kids had to get in on it. I suggested that they try it out on a scratch and see if it helped – usually we use neosporin. Or the girls could try it out where their flip-flops were rubbing their foot – which I use vaseline for. All the kids managed to find a scratch or irritation of some sort to try this out on. I’m sure they invented a few “injuries” as well because that was a good way to get to use more! My oldest girl and my son both have skin that’s sensitive to scents and dyes so I’m very careful with what I let them try out. Of course, this stuff seemed pretty good, after I had tried it, so I let them use it how they wanted. I didn’t notice any real difference is result between using Dr. Rogers or my usual products. They basically seem to work the same. And since this product is supposed to be a replacement for similar petroleum- based products I would say that it works as advertised. 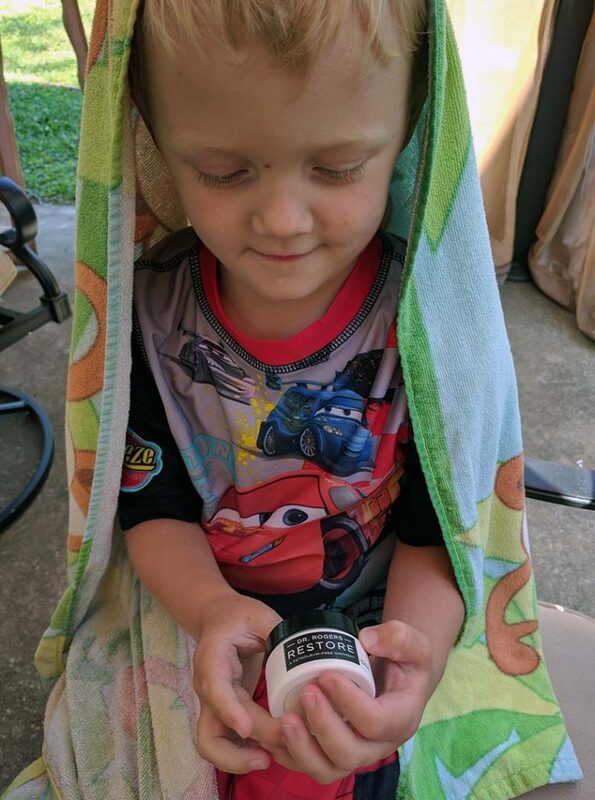 It did not irritate my childrens’ skin, it’s easy to apply, and it did what I expected it to do. Plus it’s plant based instead of petroleum based. In my opinion, a great product.